Model YBN-R/6 is a Conventional Detector Mounting Base associated with the CDX Range of Detectors and is fully compatible with the majority of existing conventional fire alarm control panels. 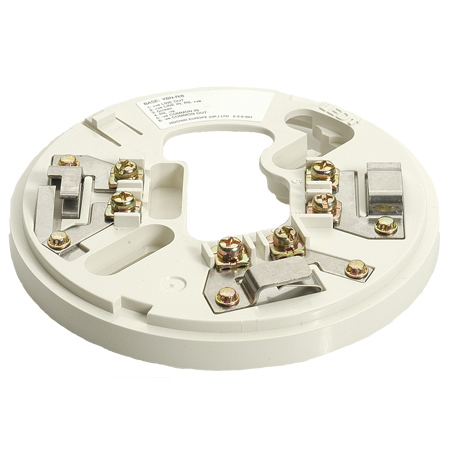 It is supplied with square cable clamps for secure and reliable cable termination but the base does not provide line continuity during detector removal, therefore if Call Points are being used then these should be wired onto the zone first. The integrated third terminal provides remote indicator output.